Digital Print from Hod Hill with a wood cut technique. Original Size 18 x 22cm cut down to frame to about 16x22cm £4.99 buy it now direct. 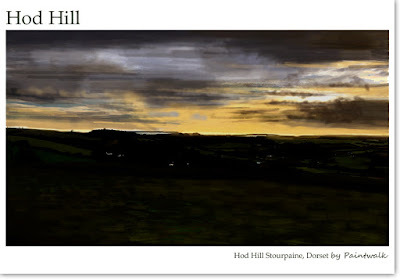 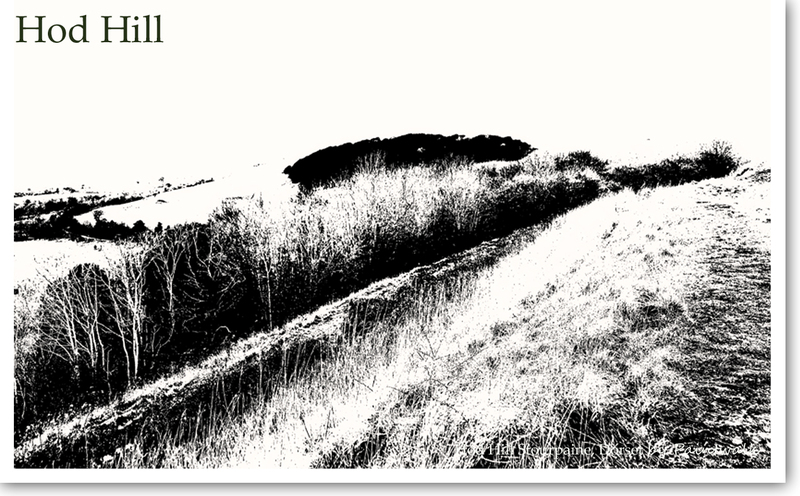 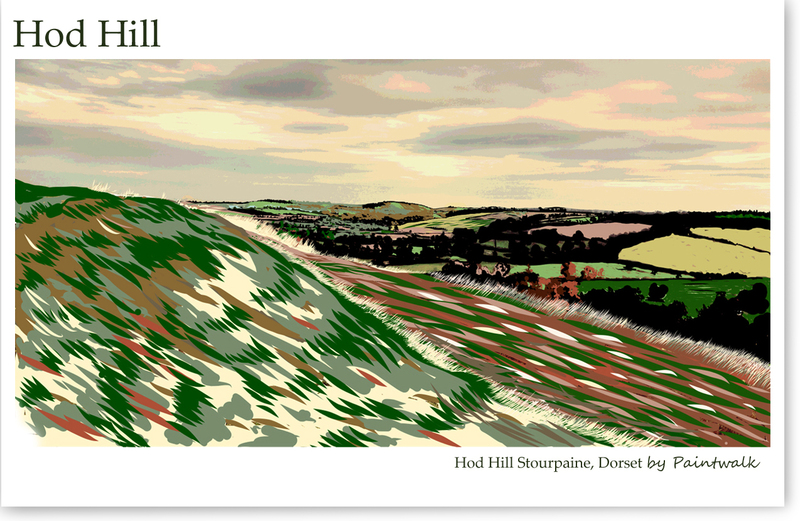 Digital Print of Hambledon Hill from Hod Hill with a Black and White bleach. £4.99 buy it now direct.